"Magnificent. 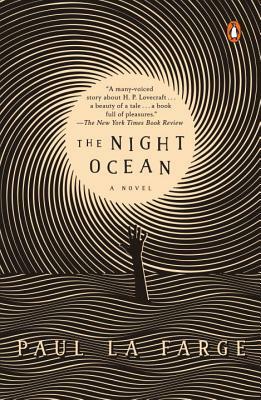 The Night Ocean is an impossible, irresistible novel, a love letter to the unloveable that speaks the unspeakable." “The Night Ocean had me from the first sentence. This immensely original, elegantly written and continually surprising novel casts a spell that keeps us enthralled until the book's brilliant conclusion." "The best novel of the year, almost any year. Historical, hysterical, fanatically attuned to the nuances of language and character, its mission, in its own words, is to ‘begin the almost impossible work of loving the world.’ It succeeds and then some, but it does more than that. It opens the window and airs out our stuffy literature. It is a book of light and laughter." "The Night Ocean is straight up brilliant. That's no surprise since it's written by Paul La Farge, one of the smartest, wildest literary talents in the game today….A sly, witty, but still loving send-up of H.P. Lovecraft and some of the grand anxieties of the American 20th century."